General purpose lightweight flexible PVC hose for open end discharge of water in construction, agriculture, irrigation, marine, and rental applications. This hose is non-absorbing, mildew proof, abrasion resistant, and rolls up flat for easy storage and handling. Coupled assemblies with male x female pin lug short shank couplings and brass spinner nut. Attached with smooth ID preformed bands to ensure a tight seal. 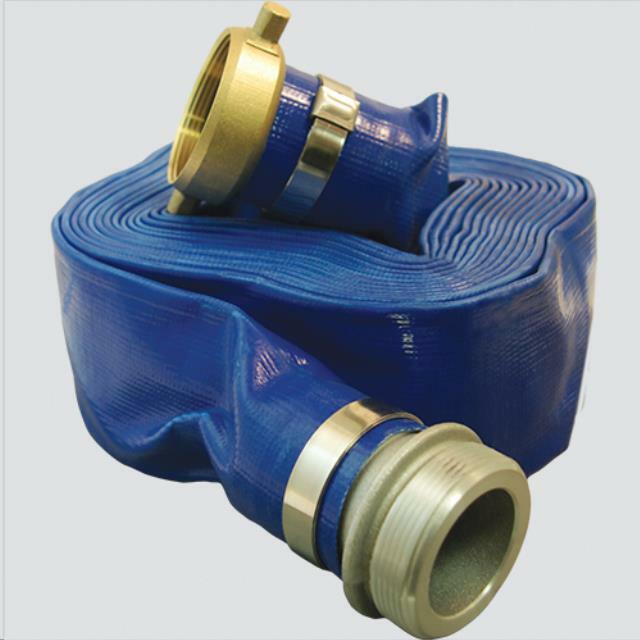 ** Please call us for any questions on our 2 inch x 50 foot blue pvc discharge hose rentals in Fairview Heights IL.